During the first two weeks of June, we spent time as a family traveling around Michigan and Chicago. If you missed our trip recap video, I’ll upload it below. When we travel I’m notorious for bringing my computer with me and working in the early morning and late at night. On this particular trip, I was determined to leave the blog behind. I still checked and responded to your wonderful comments, but that’s about it. During our trip, I was able to get in some reading, which is very much reflected on this list. 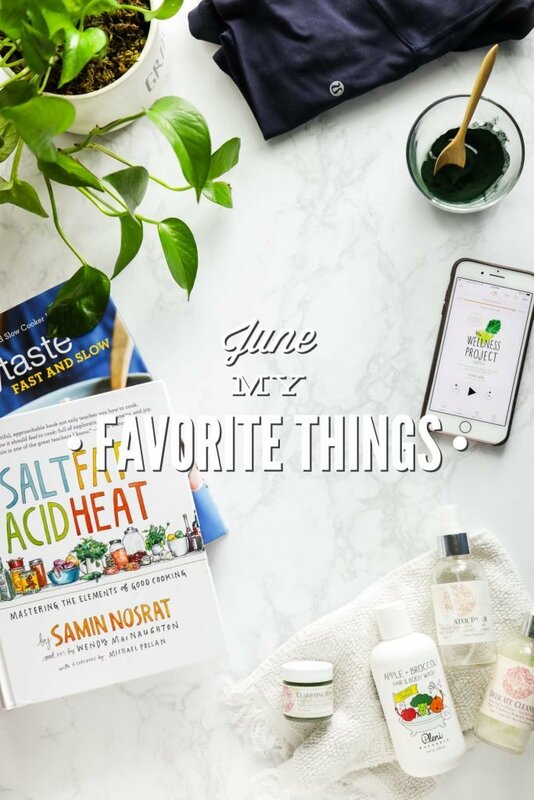 This month’s list could basically be summed up, “what I loved reading on vacation and a few other things”. This book! I can’t say enough good things about this book. 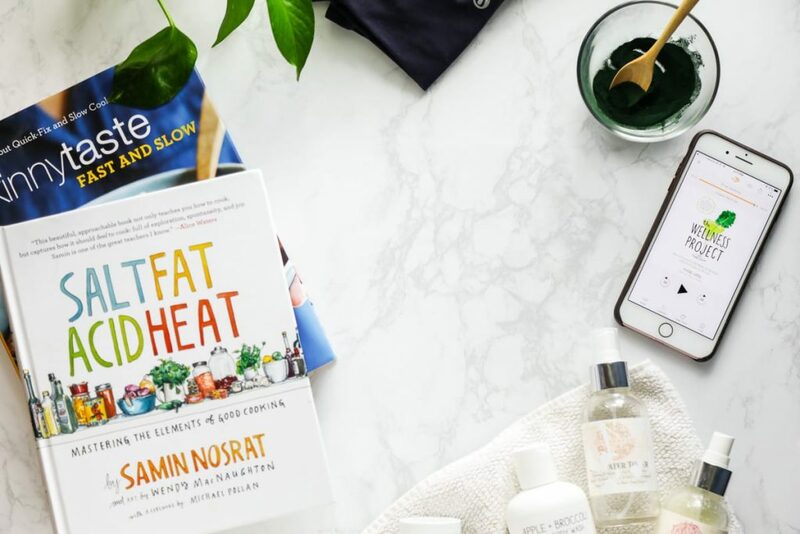 You may recognize the author, Samin Nosrat, from Michael Pollan’s Netflix series, Cooked. 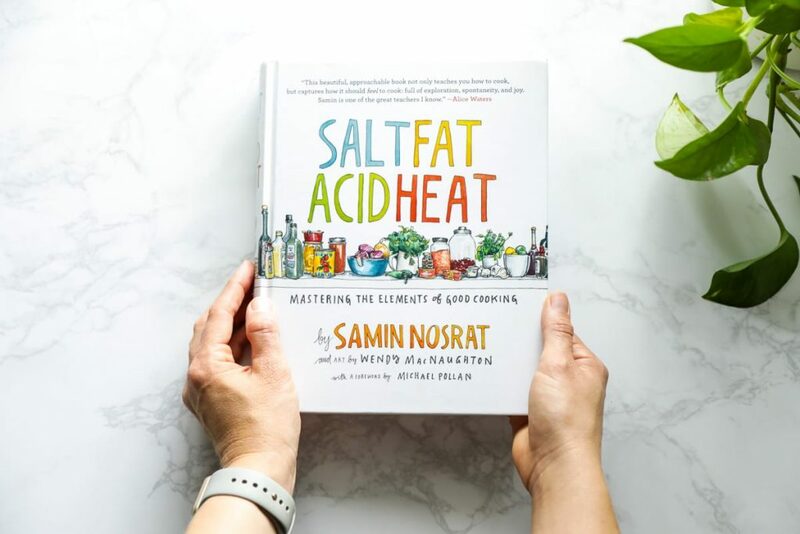 This brilliant book explores the essential elements that create a fantastic meal: salt, fat, acid, and heat. I’ll be referencing this book, and the gorgeous charts found within, over and over again. I highly recommend picking this one up. This audiobook, which is also available in a hard copy form, is incredibly entertaining. The author, Phoebe Lapine, has a great personality and a talent for making words jump off the page. The book chronicles are her journey with thyroid issues and being diseased with Hashimoto’s, along with the steps she took (some worked and some didn’t) to take back her health. I actually want to listen to this book again–I loved it that much. I’m still in the middle of listening to this book. Last weekend, I went through the kids room and cleaned out four garbage bags worth of toys and books. This book has caused me rethink the amount of stuff in our kids’ rooms, screen time, and what we talk about when little ears are listening. It’s probably the best parenting book (and I’m not a huge parenting book fan) I’ve ever read (okay, listened to). I’m excited to finish it. This book is one of the cookbooks I go back to over and over again to create my weekly meal plans. The slow cooker recipes are amazing (they actually taste unique and they’re well seasoned), and the skillet meals are easy to make on a busy night. 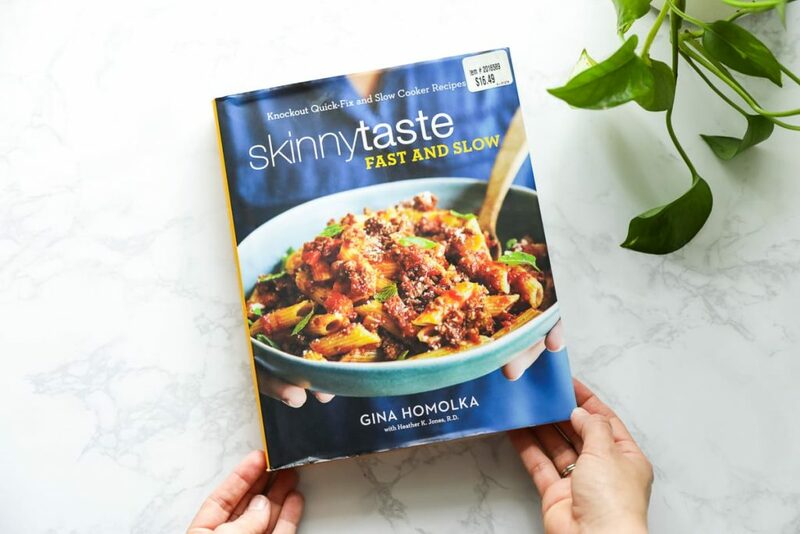 Gina, from Skinnytaste, did an amazing job thinking through and executing the recipes in this book. Five stars, Gina! My favorite recipe from the book can be found on her blog, too. Recently (a few months ago), I learned about a small company called, Luminance. The company keeps ingredients simple and the products are decently priced. I purchased a few products (Delicate Cleanser, Rosewater Toner, and Clarifying Mask) and have been using them for a few months now. 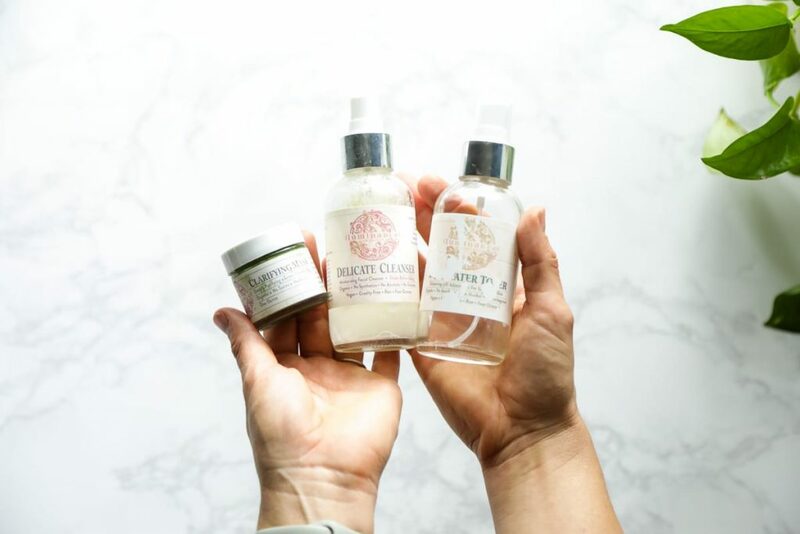 I’ve been impressed with the products and will definitely recommend this small company to anyone looking for a store-bought skincare option. Here’s another store-bought body product I’ve been trying out. 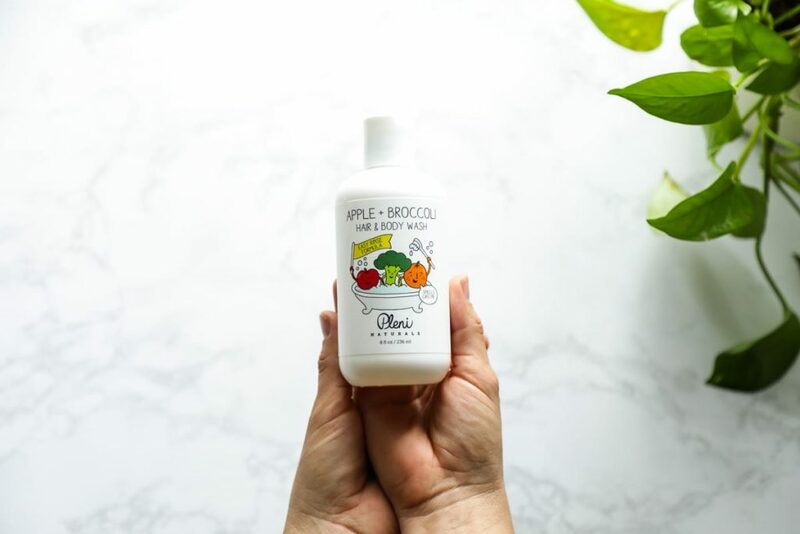 I purchased this Apple + Broccoli Hair & Body Wash from Amazon for the kids. It smells like oranges, the ingredients are clean, and the kids really like the packaging (that’s half the battle with kids sometimes). Besides just castile soap or EveryDay Shea brand, it’s definitely one of my favorite store-bought options for body wash and shampoo. Spirulina, a blue-green microalgae, is a powder I add to some of my smoothies (just 1/2 teaspoon). I’ve also been mixing together spirulina and honey to make a simple facial mask. I’ll share my recipe on the blog at some point. 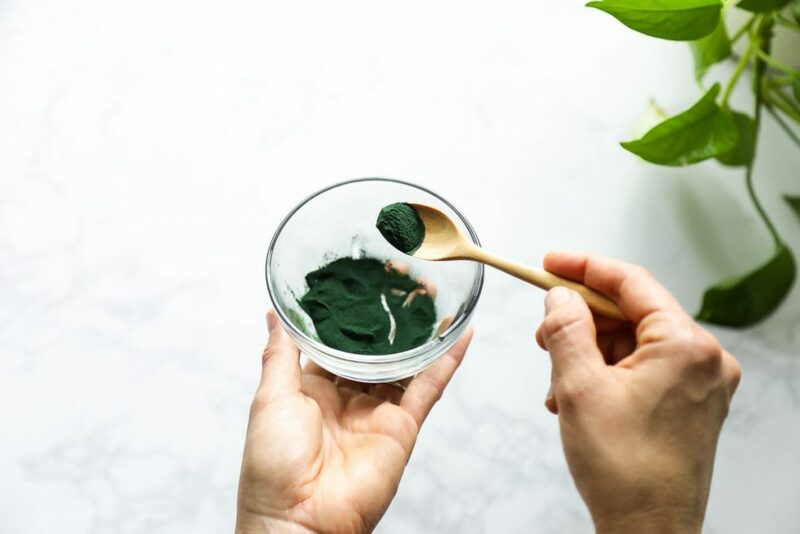 I purchase spirulina from the health food store (the Frontier Bulk Bins)–it’s very affordable when purchased this way. I spend a large part of my life in yoga pants/leggings. I’ve been on the hunt for the best leggings (high waist, wash well, aren’t suffocating, flattering for a 32 year-old woman with two kids, etc.) for a good year now. 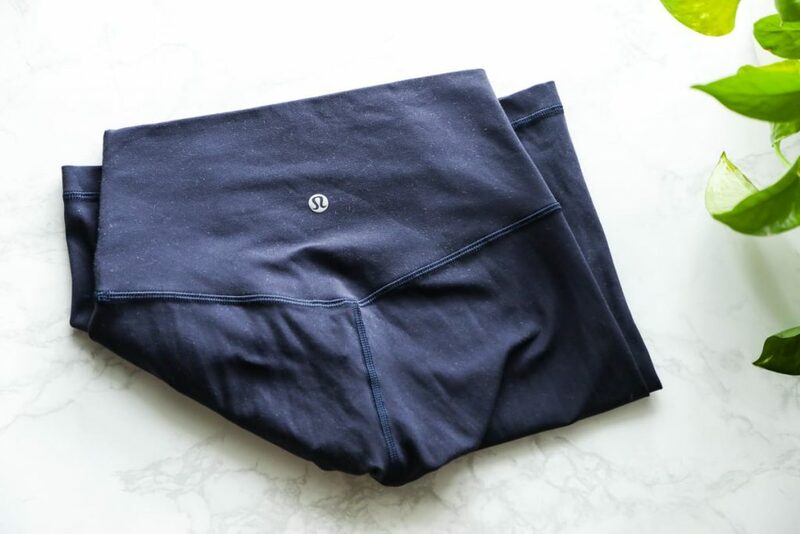 I finally tried the Lululemon Align Leggings, and wow! That’s all I can say, WOW! There are no words to perfectly describe how perfect these leggings are. The price tag is steep ($100!! ), but worth every single penny–and that’s hard for me to admit because I hate spending that kind of money on clothes. I currently own two pairs, one black and one navy. PS: Clearly, I need to invest in a lint roller. Yikes! Finally, let’s talk about something very personal and feminine. I guess leggings would qualify as personal and feminine, too. 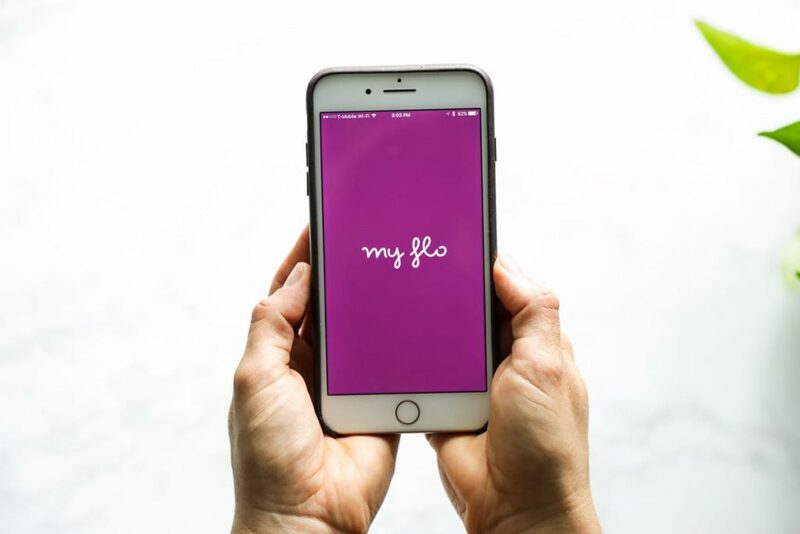 I’ve been using the My Flo App to track my monthly cycle. The app not only tells me (based on the information I provide it) when my next period will take place (yes, I could use a calendar for this), but also where I’m at in my cycle (your period isn’t the only big change happening to your body each month). 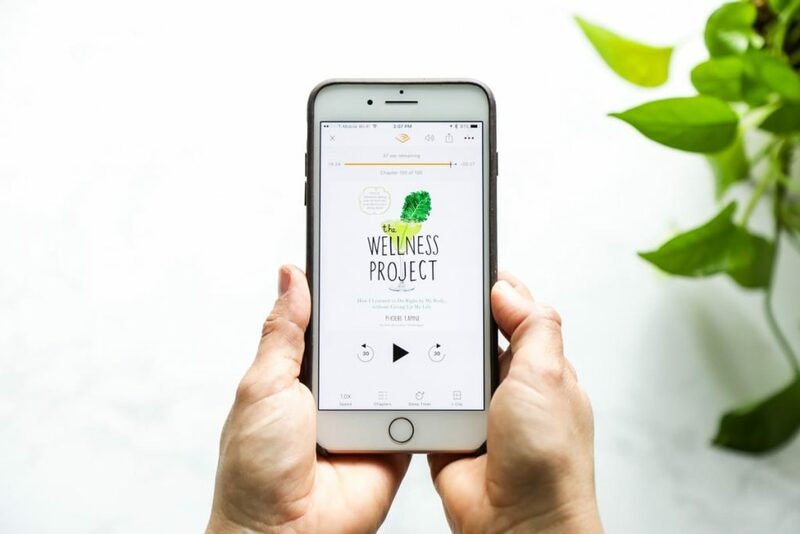 The app then elaborates on each phase: what I should focus on eating to support that phase, how I should workout (more intense workouts or taking it slow), etc. The app was created by Alisa Vitti (author, Woman Code). I believe it’s $1.99 in the App Store. That’s it for me! Now I want to hear from you. What are you loving right now? So glad to see the Vlog. I love looking at people’s vacation pictures. You were in my home state of Michigan–and it looks like you had a great time. Isn’t Mackinac Island beautiful? OH THAT FUDGE!!! Your family is beautiful! Thanks for sharing, Kristin. Thank you so much, JoAnn! Your home state is such a gorgeous place to visit in the summer. My mom’s side of the family is from Michigan (I’m the first Floridian in the family) and we used to spend our summers up there when I was a child. I hadn’t visited Michigan since I was 12–what a treat to go back! And yes, that fudge–so good and so fun to watch it being made. Hey Tamara, That’s awesome. I didn’t know they sold at farmer’s markets, too. They’re such a great company and the founder, Kim, really cares about his products and clients. I actually was in Florida this past weekend, so I think the lady might have confused me with someone else. I’ll definitely take you up on the dinner offer when we’re in the area! Thank you so much for the offer. And I can’t wait to hear what you think of the Luminance products. Wonderful list! I too am really enjoying Salt Fat Acid Heat, and the meat I’ve been cooking lately has been infinitely more tender thanks to her salting protocol. I also read Simplicity Parently this past year (the only parenting book I reading leading up to the birth of my daughter). It really challenged me to not get caught up in buying all the ‘recommended’ or ‘must have’ baby products – saving not only our bank account, but also my sanity! I’m currently enjoying ‘The Bread Baker’s Apprentice’ by Peter Reinhart and recipies from ‘Kitchen Matters’ by Pamela Salzman. Hey Sarah, Yes, salting the meat has made such a huge difference for me, too. 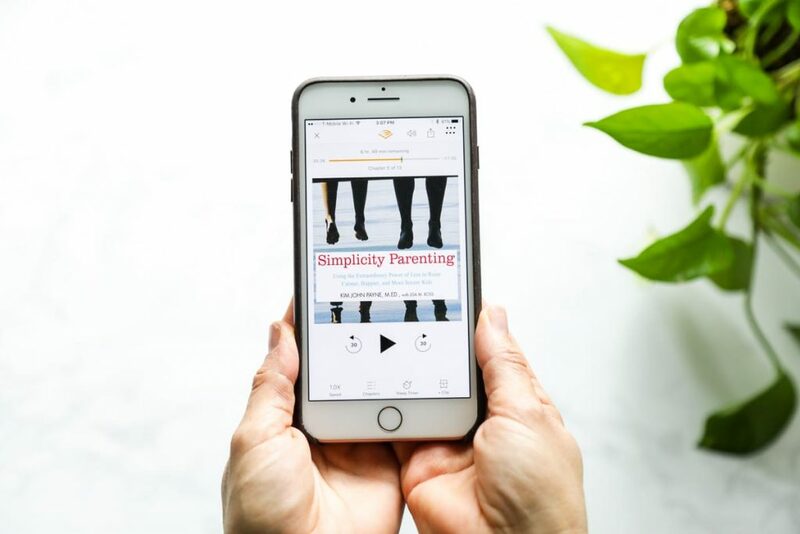 That’s so great that you read Simplicity Parenting before your daughter was born–love it! I’ll have to check out the other two books you mentioned, thank you. You mentioned (on instagram stories) another book you used when creating new recipes that gave ideas on food pairings. Can you tell me what that one was called? Hey Becca, Definitely, it’s called The Flavor Bible.